← “Well, ya know… it’s complicated.” Like hell it is! For those of you who have seen David Fincher’s Seven, I think it’s safe to say that when you see his name amongst the credits, some hairs go up on the back of your neck. Particularly related to Zodiac, a film about a serial killer, you’re thinking, “OK, how nutso will the violence be?” and, “Do I feel like sleep is important this evening or not?” This reaction to “A David Fincher film” amongst the credits is somewhat unfortunate when talking about Zodiac. I found this dramatic period piece of a movie to be a hidden gem amongst the thriller/suspense films of the last five years. First question: why didn’t the police departments cooperate more? 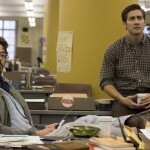 I think it’s appropriate to say that the film is an indictment of bureaucracy. The murders occurred in Vallejo county, Napa county and within San Francisco city limits. Watching the scene in which one of the S.F. Inspectors, played by Anthony Edwards, is trying to coordinate the evidence between the three departments is enough to make you jump up and down and stomp your feet while pulling your own hair. None of the departments want to take responsibility for the evidence they possess, because the other departments didn’t share evidence with them first! Is this a police investigation or a kindergarten playground??? 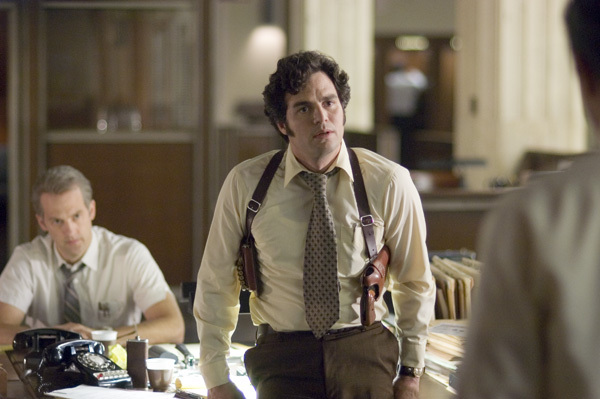 Each Police Department wanted to be the one to catch the guy and the outlying county guys didn’t feel like the S.F.P.D. were giving them all the facts: so, the little guys withheld information that might have helped the investigation! 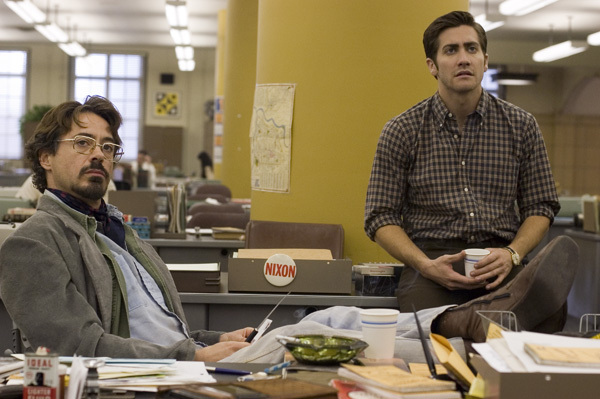 This fact is only found out years later as Gyllenhaal’s character, Robert Graysmith, conducts his own private investigation. 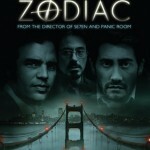 Second question: what was the most appropriate way for the media to react to Zodiac? Let’s pretend you’re editor-in-chief of the Chronicle, and some nutball sends a message saying he’s the guy who has been killing people in the area – and more mayhem is to come if he doesn’t see his letter published. What would you do? Same question applies to the station manager of KGO, the local station that actually aired the killer talking to defense attorney Melvin Belli (played by Brian Cox in the film with his usual professional penache). I think this is a great philosophical question to ponder as to weighing the potential for further loss of life, which the killer is threatening, against the precedent that other muderers and thrill seekers may see this as a way of exploiting the media and putting fear into the masses. Third question: when tackling an immense project for your career, how far is too far? 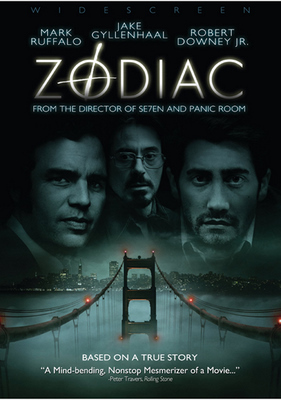 I had seen the film before, but what I had forgotten is how engrossed the Graysmith character becomes in solving the Zodiac murders. I am a huge proponent of victim’s rights, I don’t mind saying that: but I’m once again impressed with the film putting the question of “Did Graysmith really go too far personally”? The scenes of Graysmith showing up at Detective Toschi’s (see note 1) house in the middle of the night and his wife leaving him are all much more intense than you might think. It’s easy to point at the Gyllenhaal character and say, “boy was that guy nuts!” But at the same time, it’s kind of eerie how relatable his obsession is. Fourth question: how can we prevent some of the 1970s fashions from ever returning to the mainstream? OK, this one is up to one’s own tastes, but come on! Bell bottoms and curly afros and colossal shirt collars need not return any time soon. At least that’s the way I feel about it. 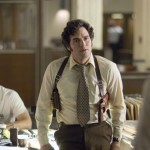 Note 1:Toschi was a real life San Francisco Inspector for years, and is portrayed expertly in Zodiac by Mark Ruffalo. However, what I didn’t know was that Toschi is the cop upon whom Steve McQueen based some of his Bullitt performance, including the upside down wearing of his shoulder holster… We’ll get to Bullitt soon, dear Reader.